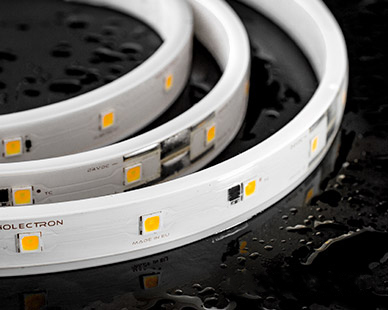 AQUA TW-56 NICHIA flexible waterproof LED strips contain 56 warm white and 56 cold white LEDs per single meter. These LED strips are powered by 9.6 W/m. 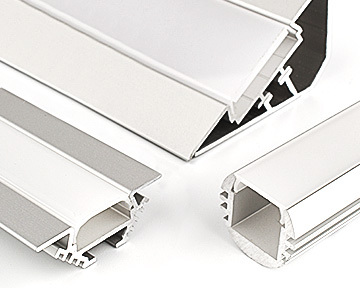 Tunable white LED strips enable the adjusting of light warmth along the specified range. By using additional add-ons and applications, these LED strips can be programmed to change light warmth depending on time of day, season, wheather or any other parameter you can think of. 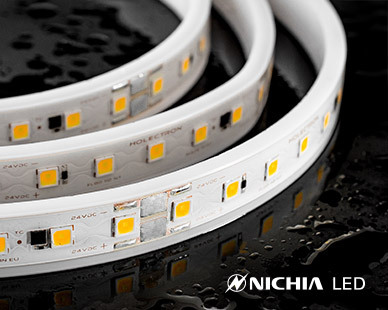 In addition, these IP67 waterproof flexible NICHIA LED light strips are designed for long-term professional lighting applications and perfectly suit for outdoor LED linear decorative, cove lighting, curved applications, edge lighting and many more applications. The housing does not attract dust or dirt, is easy to clean and is fully UV resistant, as well as salt and solvent proof. All of the white color 2000K-6500K range have a high color rendering index (CRI) rate which is Ra80+ or Ra90+. It guarantees high lighting quality level. This outdoor IP67 flexible OSRAM LED light strips is available with 3 Step MacAdam or Single Bin LEDs.